Kekkei Genkai: kaguya clan's members can manipulate their bones. 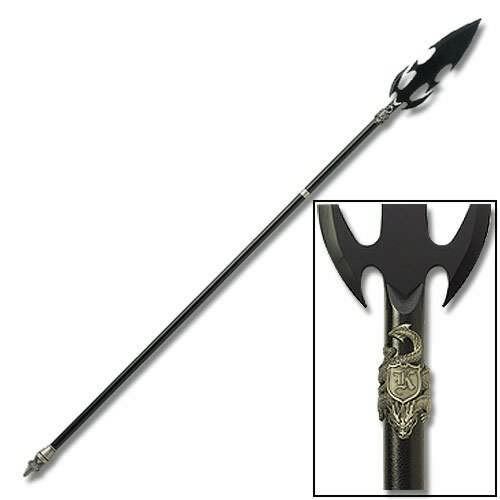 Description: This spear can release the users elements. The user can charge elemental chakra into it ad shot it out in a stab. The chakra will shot at the direction where the stab was pointed. Also kenpachi can chanel his elemental chakra into the spear but not release it. He can use it during his attacks. If the elemental chakra is chaneled into the spear but not released the spear has the effect of the element. Kimimaro performs this jutsu by modifying the humerus (upper arm bone) of either his right or left arm to create a short, hiltless bone sword. Since he can increase and compress the density of his bones, he can make the sword harder than steel. He then uses the sword to fight; his style uses quick cuts and thrusts to disable opponents quickly. With Kimimaro's formidable taijutsu skills, he can easily defeat a large number of people very quickly (as evidenced when he disposed of hundreds of Naruto's shadow clones without breaking a sweat). This dance also appears to be the most basic of the techniques related to his kekkei genkai, as it was unable to overcome an intoxicated Rock Lee, while his other techniques were easily capable of this feat. Requires Bone control Kekkei Genkai. Kimimaro uses this jutsu to create a mass of razor-sharp bone spikes all over his body. These spines appear to be branches off his preexisting skeletal structure rather than complete new bones. Kimimaro is even able to grow these bones at an extremely rapid rate so they can stab an opponent even as they are growing. He can even use them to block or trap an opponent's strikes. In addition to being an unwelcome surprise for opponents, it makes him basically untouchable at close range. Requires Bone control Kekkei Genkai. To perform this dance, Kimimaro grows several long bone blades out of his body for use as weapons. Though he primarily uses two blades grown from the palms of his hands, he also uses several secondary bones grown from his elbows, knees, and shoulders. This dance form is incredibly acrobatic, using spins, charges, and long sweeping slashes to make the strikes more effective and to evade opponents' counterstrikes. Kimimaro can also extend his bones to attack his opponents without having to adjust his own movement, a principle also used in his Dance of the Larch. Requires Bone control Kekkei Genkai. This is a follow-up to the Dance of the Clematis: Vine. Kimimaro's entire forearm is encased in a giant drill made of bone to attack the trapped victim. The bone is strengthened (through compression and its plaited spiral shape) to become the hardest type of bone the body can produce. The bone resembles a flower, hence the name. Requires Bone control Kekkei Genkai. Using his kekkei genkai, Kimimaro can modify and pull out his own spinal column to use as a flexible chainstaff, regrowing a new spine to replace the removed one. The protrusions on the vertebra are modified to make them stronger and sharper. Requires Bone control Kekkei Genkai. Exclusive to Gai, this jutsu uses six of the eight chakra gates to give the user unmatched speed and strength. After the gates are open, Gai will approach his opponent in a somewhat distinctive stance and, once he gets close enough, kick them into the air. He then hits his opponent over and over, causing a peacock-like fan of flaming chakra to develop. Once Gai is finished, his opponent will fall back to the ground, covered in the attack's aura. Unlike Rock Lee's Reverse Lotus, which uses fewer gates and leaves Lee much worse off, Guy is not visibly injured after using the attack. However, this may be due to the comparatively shorter period of time he opened the gates for, as well as his own personal experience. This jutsu is an advanced and more destructive version of the Front Lotus, which requires that at least three chakra gates be opened (in every instance in which it has been used, five gates are opened). Once enough gates are open, the user launches the target into the air and hits them with one arm and one foot, sending the target crashing into the ground. This is usually fatal due to the speed and power behind the attack. Because so many chakra gates are opened at once, it can only be used once, since the user will likely be unable to stand afterward. Guy's version involves him launching the enemy into the air, spinning like a drill, and delivering a bone-shattering punch. Guy first unlocks seven chakra gates, then uppercuts his opponent high into the air. He then quickly jumps after his opponent and uses a chakra-powered punch to send them back down. After opening seven chakra gates, Lee punches the ground, creating an earthquake that launches his opponent into the air. He then attacks his foe many times at the speed of light, moving so fast that it seems as if there are three Lees attacking at once. To finish, Rock Lee punches the enemy from the sky three times, slamming them back to the ground. This jutsu is an enhanced version of the Reverse Lotus, and requires the user to open the sixth chakra gate. It begins with the user kicking the opponent into the air, followed with the opening of the sixth gate. 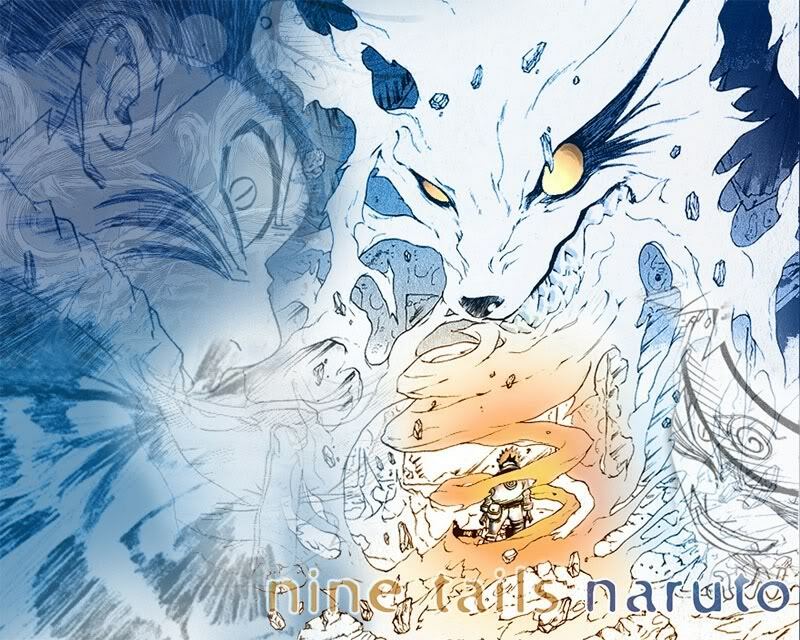 Once the sixth gate is open, the user launches themselves into the stunned opponent, constantly attacking them with speed so fast that the naked eye will only see light beams passing through the opponent. Gourai Rensa is a taijutsu technique used by Rock Lee. Lee first opens a celestial gate to increase his speed, he then uses his extending chain weapon to wrap up his opponent and launch them into the air. Lee himself will then launch into the air and begin a barrage of strikes, knocking his opponent back towards the ground. He will then finish them off with a strong strike right into the ground itself. Konoha Gouriki Senpuu is a Taijutsu technique utilized by the Leaf ninja Maito Gai. Like the normal Senpuu, Gai uses his quickness and agility to deliver a powerful roundhouse kick to his opponent. Konoha Kage Buyou is a Taijutsu technique that is used to position a ninja's opponent into a vulnerable aerial position. The ninja will first quickly appear below their opponent, then with a switch upper kick they will launch their target into the air. The ninja will then jump into the air to "shadow" the target with the target's back to their chest. Rock Lee uses the Konoha Kage Bayou to place his opponent into a position to do his Omote Renge technique. Uchiha Sasuke would go on to copy this move to set up his opponent for his Shishi Rendan technique. Konoha Raiken is a Taijutsu technique utilized by the Leaf ninja Rock Lee. Lee will spin to gain momentum and then lay a powerful strike into his opponent. Oukashou is a Taijutsu technique used by Haruno Sakura. Using the skills passed down by her teacher Tsunade, Sakura is able to utilize powerful strikes. Sakura will first build up a high amount of chakra to her fist and then release it in an instant. ShiShi Rendan is a Taijutsu technique developed by Uchiha Sasuke after he used his Sharingan to copy the movements of fellow Leaf ninja Rock Lee. Sasuke first uses the Konoha Kage Buyou to manuever his opponent in a vulnerable aerial position. While shadowing his opponent, Sasuke will attempt to strike them from a vulnerable angle. If he is unable to make a clean strike, he will strike anyway as a feint, to draw his target's attention and defense to one area. He can then strike the undefended area and begin knocking them downwards towards the ground. As the enemy falls back to the earth, Sasuke will deftly rotate his body around to deliver a full force kick to their chest. Teshi Sendan is a Taijutsu technique utilized by the Sound ninja Kimimaro. Using his bloodline abilities unique Shikotsu Myaku (Corpse Bone Pathways) ability, Kimimaro will use his fingers to fire his distal phalange bones as bullets. As the bones fly through the air, they will rotate and drill into their target once they make contact. Tsuuten Kyaku is a Taijutsu technique utilized by the Sannin Tsunade. Using her monstrous strength, Tsunade will raise her leg in a high arc, and bring it thundering down causing massive damage to whatever it impacts. If one of her kicks or strikes were to connect, they would kill a normal ninja. Kenpachi chanels one of his elemental chakras into the spear and starts launching them rapidly. Kepachi launches 20 bolts of elemental chakra from his spear. Kenpachi gatheres a huge amount of elmental chakra into the spear. And then with a quick and strong slash releases it all. Kenpachi was born in konoha village. His parents were criminals and soon after kenpachi was born they were killed by konoha's shinobi. Kenpachi was just a litle kid, so he lived in the street. After some time he joined the academy, but kids made fun of him becase he lives in the street. Kenpachi started hating everyone. When he became a chunin he decided to leave his village. But before leaving he stole a few scrools of jutsus, so that he would have something to learn. After that kenpachi started wandering around the lands. First kenpachi came to the sand for a litle. But people hated him in the sand too. One night some old drunk man was picking on kenpachi, he got so angry that kenpachi even killed him. After that he knew that he has to leave the village. Again he wandered around the lands. After a few years he understood that no village will acept him. So he lived in forests and caves. Kenpachi studied the scrools and learned new taijutsus. When kenpachi was 18 years old he met and old man in the forest. That man was from the same clan as kenpachi. The old man teached kenpachi some jutsus of the clan. And teached him how to use the bloodline. He became stronger and stronger every day. But after some time the sand village came looking for him. Kenpachi managed to hide ,but they took the old man. After they tried interogating him they killed the old man. When kenpachi found out about that he became realy angry and wanted revenge on the sand village becouse the old man was the only one who will accept him. After some time the sand village sent some shinobi to look for kenpachi. Because of kenpachi groudge for the sand village, he killed the shinobi. That made t sand village look even harder. Soon more and more shinobi looked for kenpachi. It was started to become hard for kenpachi to kill them. He knew that he needs alies. One day kenpachi heard about an organisation of s rank criminals. He started looking for them. After a few years he found one member of the akatsuki and after a few more months they let him join. Kenpachi then worked with the akatsuki and planed revenge on the sand village. Kenpachi was hidding in a cave when suddenly 15 shinobi came. Kenpachi quickly picked up his spear and tried to sneek up on them. He chanaled his lightning elemental chakra into the spear and quickly stabed one of them from the back. But the other ones noticed him. They said to kenpachi "Surrender now and you might be spared or die here". Kenpachi was in rage and quickly charged at the shinobi withough saying anything. With a quick swing he got one of them and another one tried to attack kenpachi with a sword. Kenpachi blocked with a spear and quickly kicked the shinobi. Then he jumped back a litle. He putted his spear on the ground. He fired out a few bones like bullets out of his fingers. The bones hitted two shinobi's heads and killed them both. Kenpachi took out a bone out of his hand and used it as a sword. He carged at the shinobi and stabed another one. Now there were only 10 left. He threw the bone and the bone hitted one of the shinobi head. Kenpachi then used Sawarabi no Mai jutsu and then most of them got stabed by bones. But three managed to dodge. Kenpachi picked up his spear again and chaneled a huge amoun of fire chakra into it. And then with a quick and strong slash he released it all. 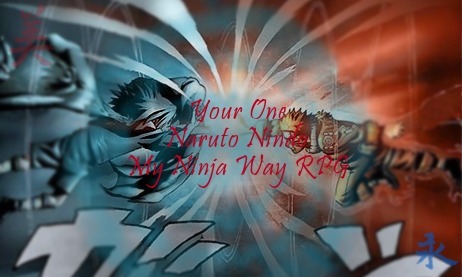 The chakra killed another shinobi. The two left charge at kenpachi. While the shinobi were running at kenpachi he threw s spear at one of them and he got killed. After that he rushed at the other one and quickly jumped. Then he used Tsuuten Kyaku and launched a strong kick from the air at the shinobi. He got kicked so hard that his skull broke. After that when the 15 shinobi were dead kenpachi headed out to find a new hidding place. Looks good so far L.